Get rid of waste; get more effective. Flywheel is the leading full-featured marketing & sales platform built specifically for Manufacturers. 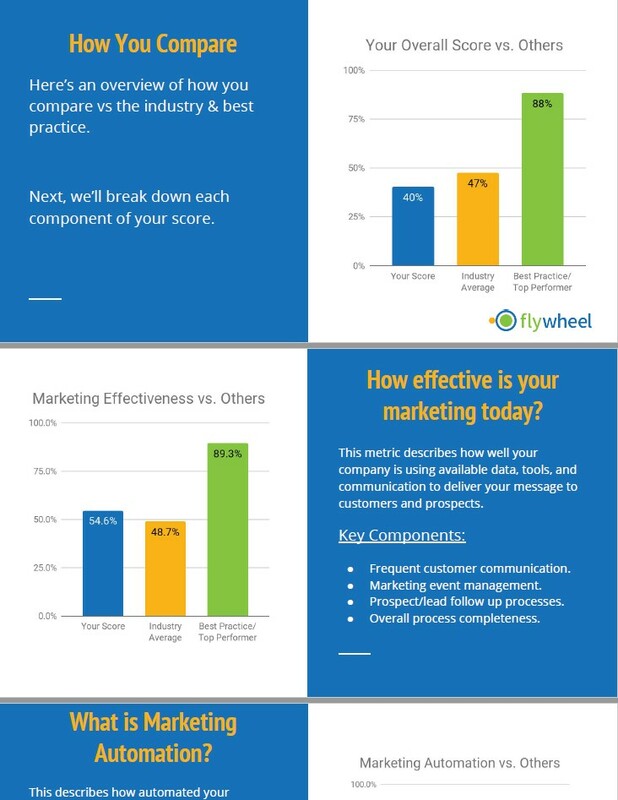 Flywheel helps improve sales & marketing results. Average Overall Sales Efficiency Improvement. Average revenue increase after adding Flywheel to growth plan. Days or less to realize performance improvement. Our customers improve sales/marketing performance by and average of 10% in 90 days. Curious how? RMS Roller-Grinder combined the Flywheel platform with industry best-practice methodology to get value right away by going after low-hanging fruit. Since adding Flywheel, each salesperson is spending an additional 30mins-1hr per day with customers instead of on administrative tasks. How Does Flywheel Drives Sales & Marketing Value? Flywheel automates sales & marketing processes so your team can focus on delivering value to your customers. End data entry drudgery with our customer hub – we consolidate information from your website, email, ERP, and mobile devices into a central place. Flywheel includes industry-specific templates for marketing (such as trade show follow up) and sales processes to help you gain efficiency quickly without the upfront effort. Flywheel uses a refined manufacturing-specific process for getting value from the platform on day 1. We recommend walking through our Sales & Marketing Efficiency Assessment. The assessment takes 15 minutes or less, and you’ll get a personalized report scoring you vs. peers and industry leaders. Automate marketing to customers, prospects, and dealers with our unique manufacturing-specific marketing tools. Sales process automation is at the core of every Flywheel manufacturer. We take the drudgery out of your sales process and help salespeople spend more time with customers. We connect to your other systems such as your existing website, email system, and ERP system.